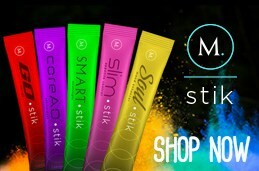 M Network Appetite Control Trim Stik - Curb your cravings! Looking to lose weight or get fit? The M Network Appetite Control Trim Stik can help curb your cravings. The M Network Appetite Control Trim Stik helps you to fight the urge to over eat while also boosting your thermogenic activity. This product provides nutrients to help you fight off cravings. The Trim Stik box contains 30 sticks and can easily be mixed with 16-20 ounces of water.